So what is different about this particular Eagle? What sets it apart from both its' predecessors and its' contemporary peers? Quite a bit actually. It isn't just the highly skilled craftmanship that is Benny Davis's trademark. The materials are unlike any found in other Christen Eagles; they are superior to the last latest greatest thing when Fiberglass was the hot ticket. This plane is loaded with high tech Carbon Fiber and Titanium components. 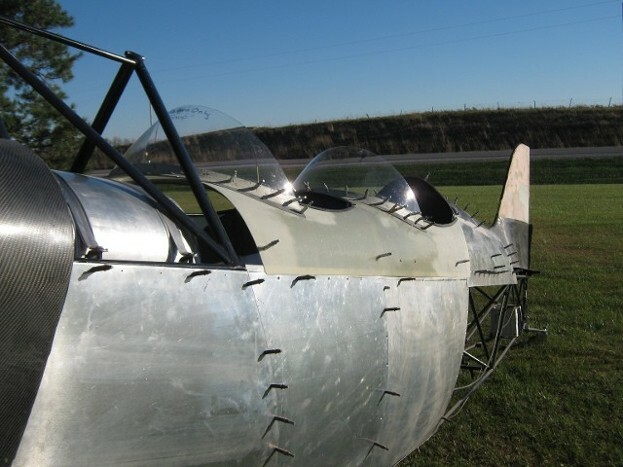 Ailerons are a copy of the Pitts S2C and go clear to the wing tips. 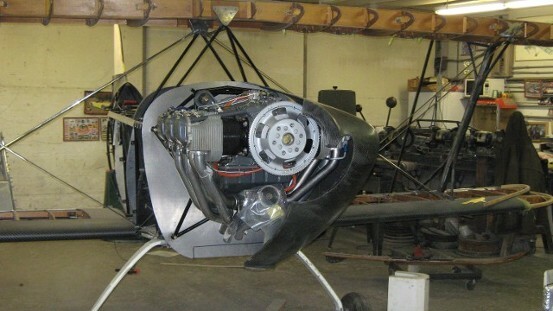 The propeller is A Hartzell Claw, with new blades. Check out the video right below this text for a walk around Benny did on 11.02.14 detailing the unique features of this Eagle Project. Like what you see? Want a project like this to finish as your own? Call Benny, he would be like to sell it to someone who would finish and enjoy it. He is here to guide you through any troublesome aspects along the way. Cockpit Conversion Kit~ This is a new addition to the Eagle Project that will remain with the Eagle when sold!!! Call Benny as he has some more things to offer. Carbon fiber (also commonly called graphite) has special properties making it ideal for application in aircraft. When combined with resin to form a composite, it produces parts that are extremely light and rigid. Carbon parts are lighter and stronger than their metal counterparts. 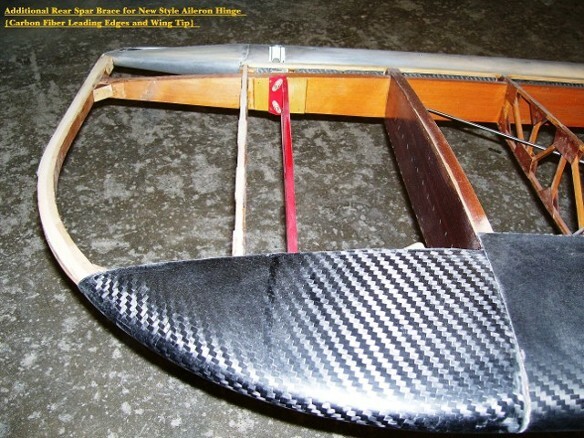 For that reason, carbon fiber is being used extensively in this aircraft. Since carbon is much lighter than some metals, it is ideal for aircraft. The F-22 Raptor has over 350 carbon/epoxy parts. Nearly 1/3 of the Joint Strike Fighter Plane will be made of carbon and fiberglass. We have put this space age material to good use in this Christen Eagle. Leading edges both top and bottom wings. Weight is the natural enemy of flight. Aircraft wings need to have fantastic strength, but that strength is usually accompanied by greater weight. Titanium has an excellent strength-to-weight-ratio. It is as strong as steel, but only half the weight. Though it is heavier than Aluminum, it significantly stronger. The stresses and speeds of flight can cause high temperatures. A metal like Titanium, with its' ability to withstand very high temperatures, it is perfectly suited for this type of heat. Corrosion is one of the biggest dangers to aircraft structures. Aircraft metals are treated to enhance corrosion resistance. Corroded airframes can cause catastrophic failures in the metals. Titanium's resistance to corrosion is a result of a naturally occurring oxide film that forms on Titanium when it contacts air. 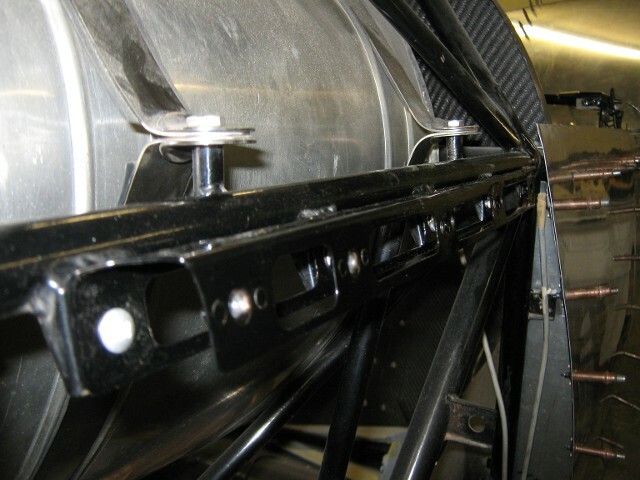 This corrosion resistance is important in maintaining the integrity of the planes structural strength. I got my engine back from Sky Dynamics. They tweaked it for 14 months and used all their high performance parts. It has Lycom cylinders and pistons. Sky Dynamics (SD) high lift rocker arms, magnesium sump, 6 in 1 exhaust, swinging oil pickup, Bendix RSA-10 Servo. (SD) magnesium light weight flywheel, cold air ram induction with magnesium manifold, one new Slick Impulse magneto, light speed plasma electronic crank triggered ignition. New Hartzell governor and B&C 3 pound alternator. I haven't bought a starter yet. I'm still researching weight versus horsepower on starters. Engine dynos 361 HP @ 2900 rpm. 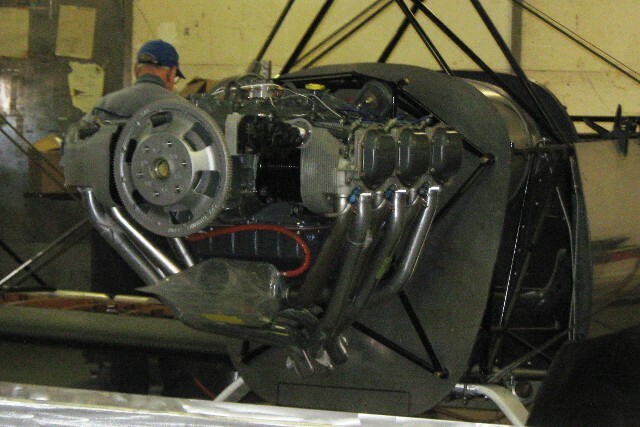 When you replace the four cylinder engine with the I-O 540 parallel valve Lycoming engine, the firewall can be made much narrower than the factory version. Mine ended up 1” wider than the fuselage on each side. I never did like the offset on the original Eagle cowling. So, I manufactured this tapered spacer so there wouldn't be any sharp offset in the fuselage side, making the plane more aerodynamic. Constructed from 25 thousands Chrome moly. 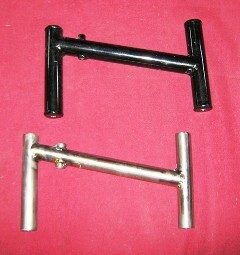 The black pedals are of Chromemoly, The silver are Titanium. These Titanium pedals are the newest addition to the Eagle in Progress. Overall savings set of four pedals 288 grams.